From Canada With Love! Eh? 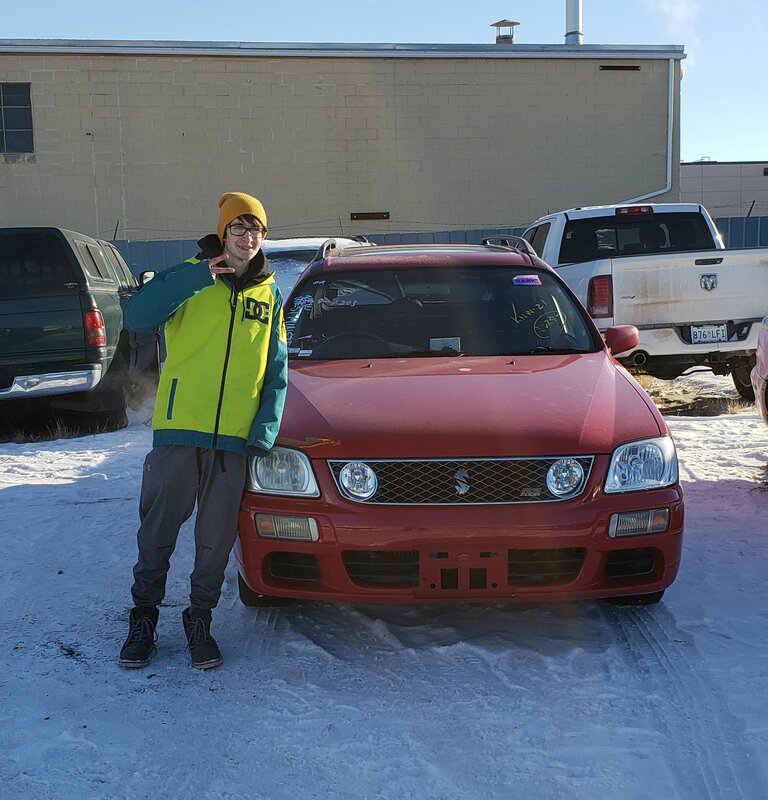 stagea From Canada With Love! Eh? Heya! I just got my Nissan Stagea RS Four V today and I'm overly excited about it. Bought it back in November and just got it home today. It's my first JDM car, and Station Wagon. Already I've gotten a lot of looks in it. I hope location isn't a matter, because this is about the only forums I found with anything on the Stagea so here I am. Welcome. Sweet car and colour. I love wagons, there's plenty of others here who do as well. Do you want to tell us the story of how you go it? Did it all go smoothly? I imagine you've been waiting for a while to have it delivered (although i don't actually know). Looking forward to more pics and details. Started the process of finding one in late September 2018. Arrived in Canada in around November. Just arrived a few hours away a couple days ago. I bid on a couple I wanted, but didn't win them for the price I wanted. Ended up finding one with a couple dings around the car and got it for a bit less than expected. Would've rather had a 260RS but too much money. Doesn't matter where you are, all are welcome. Nice Stag! Had one myself a few years back, great car.